We have developed the DIM-ICE risk analysis approach to structuring an event planning, licensing and operations of an event. The RAMP Analysis technique to define the event dynamics, Risk and Congestion Mapping to show/illustrate�the dynamics and Decision Support Analysis to help analysis and implement strategic decisions. If you want to�learn more about these techniques - send us an email and we’ll be happy to discuss the training programme with you. 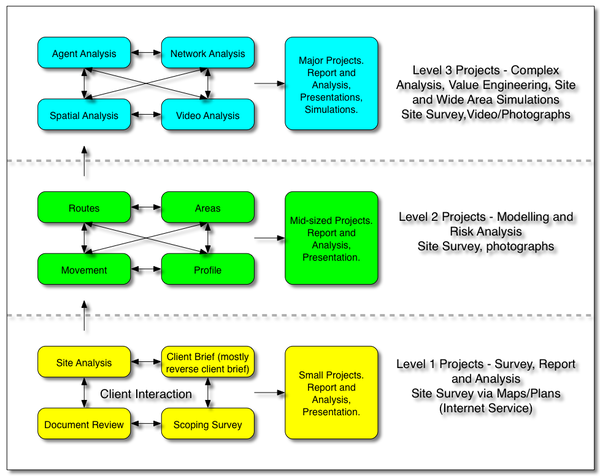 Some projects require simulation depending on the complexity of the specific site. Click here for information of different types of crowd simulations.